Kissing Crane Peach Seed Stockman Pocket Knife | BUDK.com - Knives & Swords At The Lowest Prices! 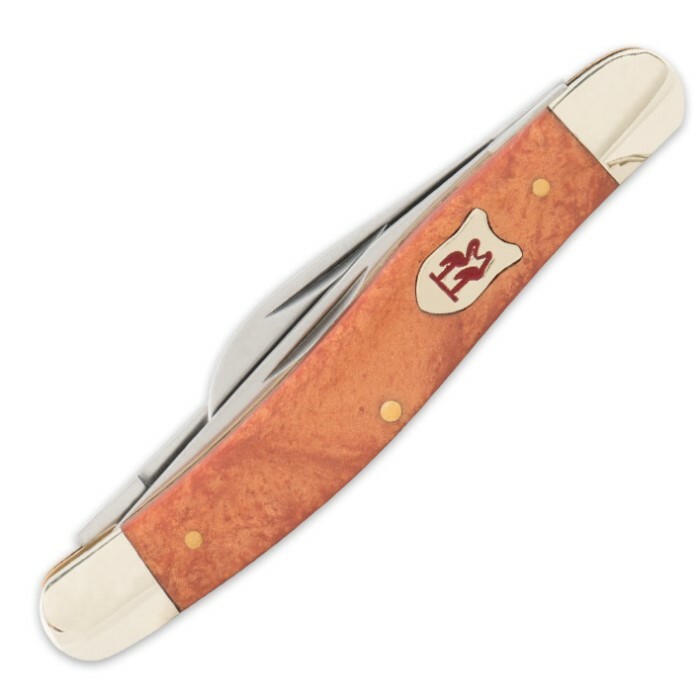 Brand new from Kissing Crane, the Peach Seed Stockman Pocket Knife is another brilliant success in sheer artistry in knife-making. The three blades are made of rust-resistant stainless steel that will last and last for years to come. The sturdy resin handle is the color of a peach on a warm, summer's day. The understated flecks of gold in the handle give it a beautiful depth. 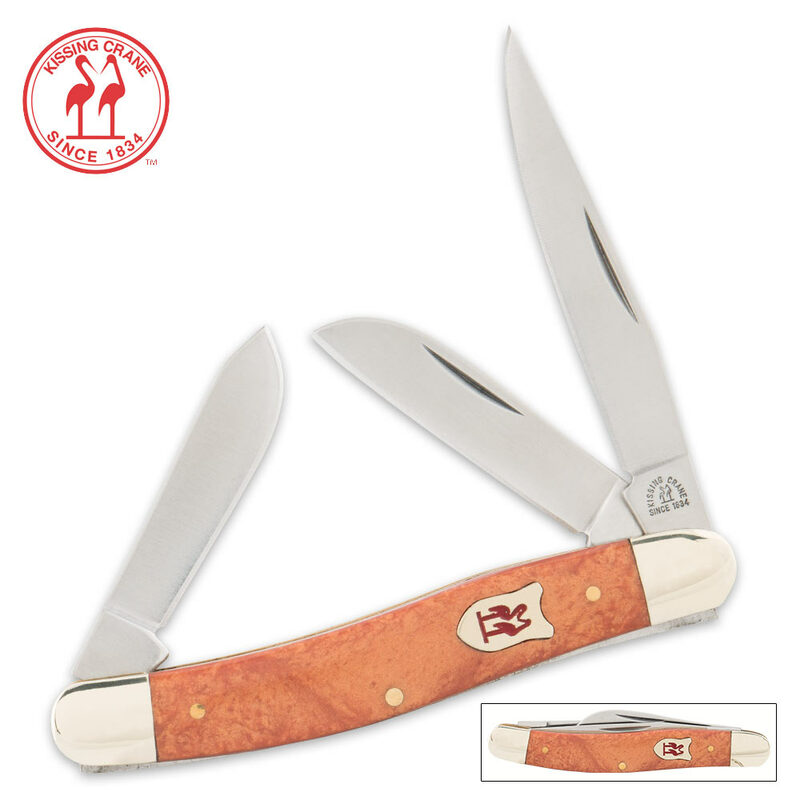 The nickel silver bolsters and brass liner compliment the peach color magnificently. 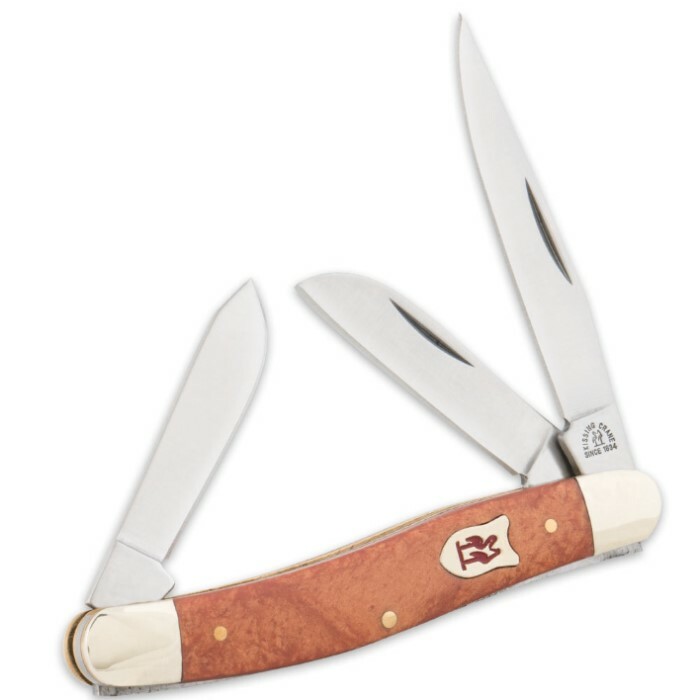 This pocket knife is 3 1/2" closed.